The ultimate film about rugby in New Zealand has already been made - and that film is The Ground We Won about the team in the heartland of the Bay of Plenty. 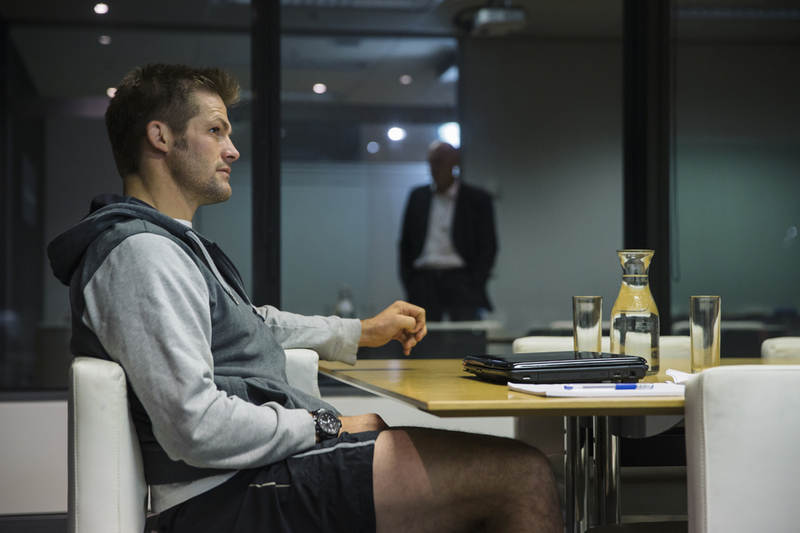 But Chasing Great aims to be more a film about the one man some would believe to be New Zealand's greatest ever rugby player - Richie McCaw. And it faces a major hurdle too - it's not as if Richie himself is not an unknown figure, blessed with enigma and living life in the shadows. Most of what is known about Richie is already there in the media, as he lived the rugby life in the spotlight and in the glare of the camera both on and off the field. So this is the nature of the challenge facing Pemberton and Walshe who followed McCaw around for a year; and in the run up to the 2015 Rugby World Cup with the hope that the All Blacks would lift the Webb Ellis trophy for the second time in a row and Richie would call time on his career. 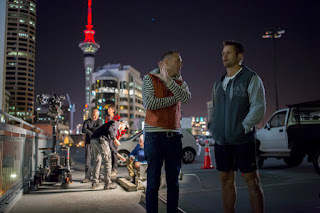 With over 700 hours of footage on hand, what emerges in Chasing Great is predominantly more a film about rugby than the man himself - and perhaps is indicative of the fact how synonymous with rugby Richie has become (though whether that makes a great doco is, in this case, extremely subjective). 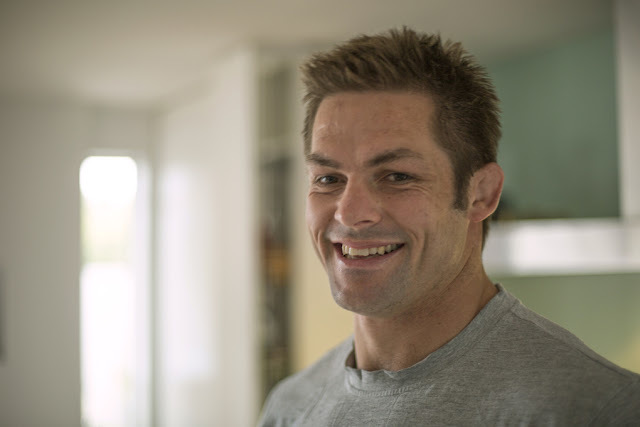 While there's use of home video footage from the McCaw family, showing a young but big unit Richie on the Otago rugby fields, in the early part of the film, there is plenty of insight into the guy that may surprise and delight his already mountainous number of fans. From doing exceptionally well at school to capturing the moment when his family sat huddled in the front room around a radio waiting to hear if Richie gets the call up to the All Blacks, there's a degree of personal intimacy that's welcomed and offers a newer side to the man so over-exposed in the media. But there's no escaping the line uttered at one point - "We're an unemotional bunch, the McCaws". And it's a flaw which shatters the second half of the film as it becomes like a sporting autobiography writ large on the big screen, as we are forced to relive the fatal loss to France in 2007, and various other games including the ultimate win in 2015 (itself a foregone conclusion that is still quite recent in our memories). It's understandable that these moments should feature as it goes some way to explaining McCaw's mindset and shift in mental fortitude with the involvement of psychologist Dr Ceri Evans (shadowy room meetings leading to feelings of a cult-like abduction), but it still feels like a sports highlights package, with edited game moments and pumping music puncturing the changing room scenes and sporting celebrations, as well as talking heads either praising his field performance or criticising it. There's no further insight into the man, and it's not as if pre-game brief interviews are enough to give a greater reading of McCaw. To their credit, the directors have committed some truly impressive imagery to celluloid - from shots high over the Otago hills as Richie cruises in his glider to scene setting slow mo track shots across stadia seats, every moment sings quality and aims for epic. But equally, there are moments writ large from the cinematic sporting cliches shot book - slow mos on the field, slow mo running through corridors et al. Frustratingly the film ends abruptly after the victory and with the very Kiwi "Yeah I'm done" as Richie flies off in his glider. This is already the story we knew, albeit fleshed out with some younger days Richie insights - and it's tantamount to feeling underwhelming in its denouement. Ultimately, that is Chasing Great. If you're after a film that celebrates and mythologises the man on the field as well as wanting to relive some of rugby's spectacular highs and lows, then this is that film for you, delivered just in time for Father's Day and with the release of Richie's book. But unfortunately, if you're after a warts and all insight into the man who's been dubbed one of the nicest in sport, then you may feel it's somewhat wanting as a rounded picture.